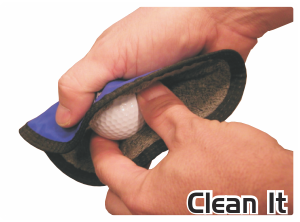 Clean your ball on the green or club head on the fairway. You always have it with you when you need it. 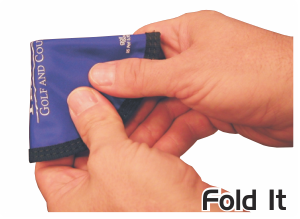 The GolfRound is made with a water repellent material on the outside and an absorbent terry cloth on the inside. 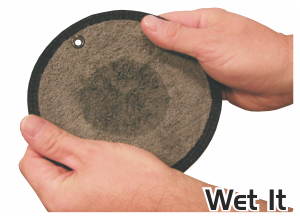 Moisten the center of the towel, fold it, and carry it in your pocket. When you're on the green, clean your ball and sink more putts.